Join us for a movie night on the lawns. 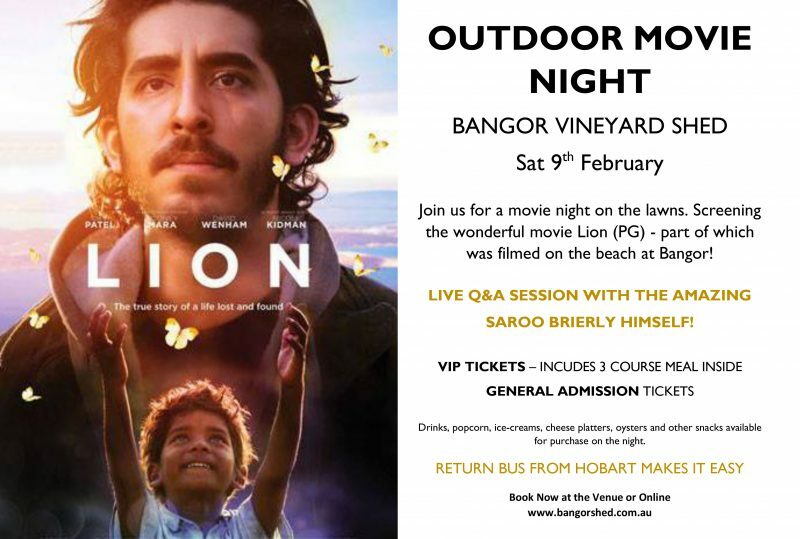 Screening the iconic movie Lion (PG) – part of which was filmed on the beach at Bangor! Live Q&A session with special guest Saroo Brierley. General admission and VIP tickets available. Return Bus from Hobart makes it easy! Glamping options for anyone that would like to stay the night. Everyone: Bring along a picnic rug, low folding chair (please be considerate of other patrons), blankets, cushions and coats. Limited picnic tables available outside. Food and drinks available for purchase on the night. BYO food, wine and other drinks not permitted. You can book via our website, phone or email.